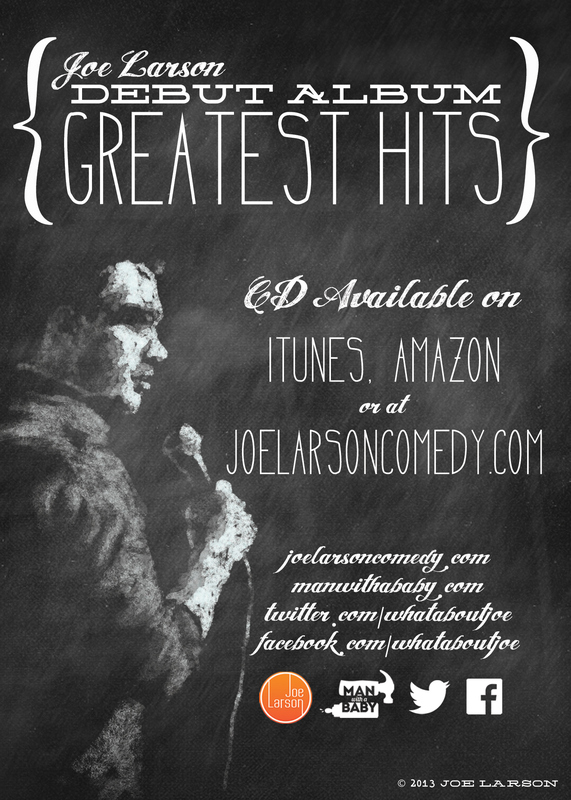 Designed album art for the funny comedian, Joe Larson. 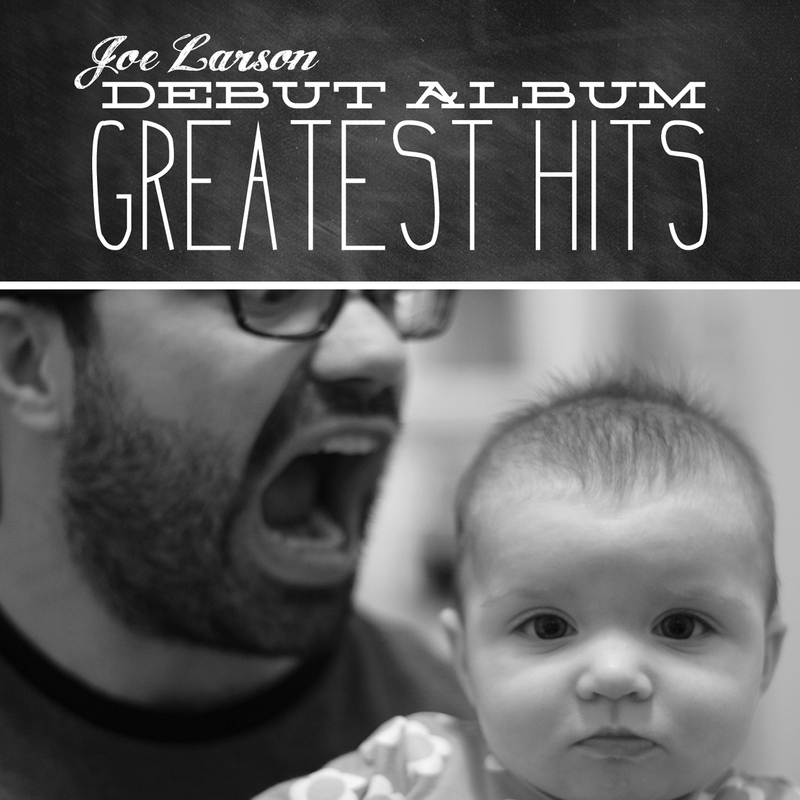 Incorporating his cute daughter, mixed typography and chalkboard textures gave the effect of his honest and sometimes immature personality without coming off as a silly or slapstick comedian. 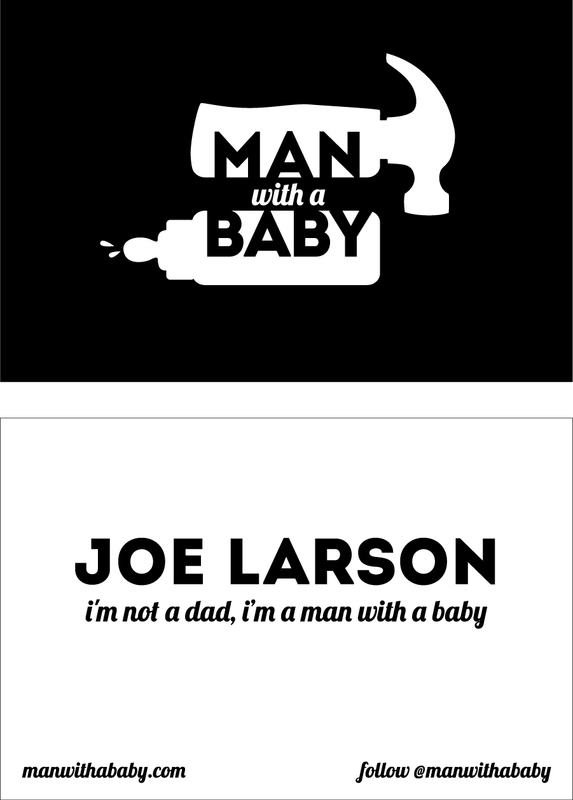 Also designed a logo and business cards for his blog, "Man with a Baby". 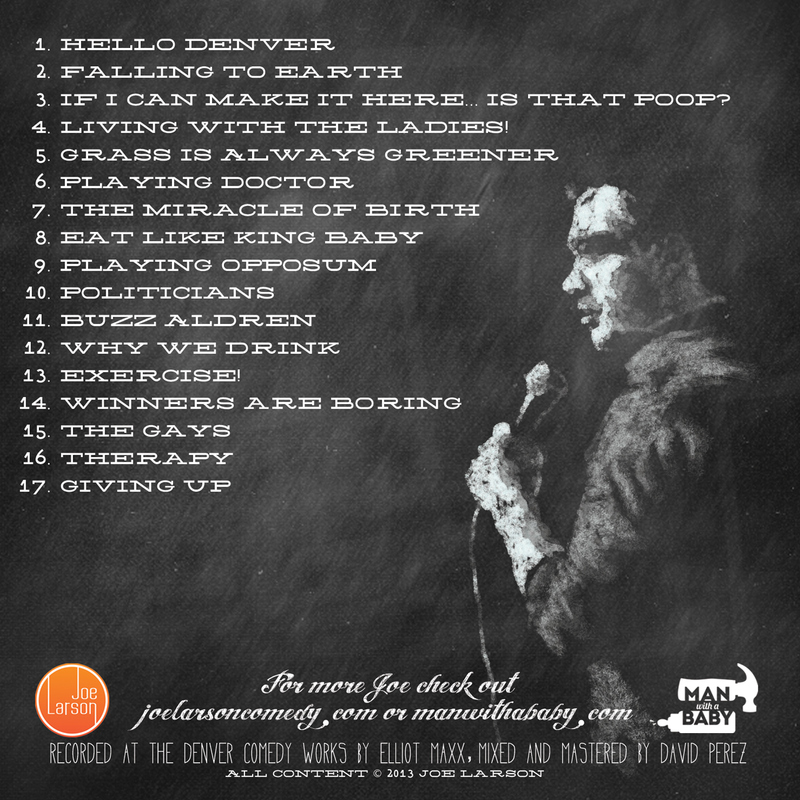 Comedian Joe Larson needed album art for his first album, loved designing this one! And the flyer to go along with it. When I first met Joe, he was new to fatherhood, since then he started a very funny blog about his experiences being a "Man with a Baby". I designed a logo for him that incorporated exactly the two.